 Boulder Landscape and Design (BLD) has been serving the Boulder, Broomfield, Erie, Gunbarrel, Lafayette, Louisville, Longmont, Lyons, Marshall, Niwot, Superior, Westminster, and Unincorporated Boulder County areas since 1981. We also take on select projects outside of the Boulder area. Many of the landscapes you see around Boulder County were done by us. We work on residential, estate, and commercial properties. For a full list of services, visit the Services tab. Yes! We have a sprinkler specialist on staff who is a true irrigation wizard. We install waterwise drip irrigation in flower beds as well as spray heads for lawns, and time your watering to be most effective and water conserving. If you have different areas with varying water needs, we can zone and time your system to take care of all those needs. Do You Do Landscape Design or Installations? Both! We work with a variety of clients, some of whom already have a design in hand and just require install, and some who want to design for the future. Our designers are available to hire for consultations. Each consultation includes a free estimate of what it will cost to have Boulder Landscape and Design (BLD) do the work. I'd Like Some Major Landscape Work Done. What Can I Expect? Boulder Landscape and Design (BLD) will send a professional landscaper to your home or business to discuss your ideas and assess the existing landscape. From there we will design your space and put together a project timeline. If you already have a design, we will give you a free estimate of the installation of your plan or concept. What Can I Expect from Construction? When Boulder Landscape and Design (BLD) installs your new landscape, you will be given a start date. Gas, water, cable, and electric lines will be located and our experienced crews will arrive to begin the project. There is always a foreman on site and work is overseen through daily site visits by the project manager. Once the construction process is complete, we will do a final walkthrough and educate you on how to care for your new landscape. Yes! We want your landscape to last a lifetime and Boulder Landscape and Design (BLD) always stands behind its work! Do You Offer Ongoing Maintenance and Watering Services? Yes! We offer a comprehensive landscape maintenance service through the season that includes aeration, fertilization, cleanups, weekly mowing, and watering. We also offer snow removal and winter watering as well as seasonal cleanups. For a full list of our maintenance services, visit the Maintenance tab or give us a call at (303) 443-3460. We will discuss your project timeline once we have the full scope and understanding of your landscape desires. We will establish a step-by-step timeline for your project. Timelines vary depending on the size and scale of the project, the season, and, of course, the weather.